Your air conditioning unit is one of the most important elements of your home – especially during the springtime. As temperatures begin to rise, you want to be sure you can rely on this important unit. This is why as a local air conditioning company serving Morrisville we recommend performing a spring-cleaning on your A/C unit. Follow these simple steps to clean the drain line and make you’re your unit is working properly. Before you begin the cleaning process, it is important to turn the HVAC power off at the breaker and the thermostat. Next, look for the indoor air handler. This is usually located in the utility closet or attic. Also, find the condensate pan, which is typically right under the unit. Look at the drain pan on your air conditioning unit. If there is standing water in the pan, the line is probably clogged. You can use a vacuum or rags to remove the moisture. You should also clean the drain pan with soap. Clear any clogs in your drain with suction. A shop vacuum is a great tool option that can be used to help remove the clog. Let it sit at the pipe for a few minutes. Then, check the vacuum to see if it caught the debris. Find the access point on the drain line. This is usually a T-shaped vent with a PVC cover. Once you locate this, remove the cover and poor distilled vinegar down the line. Let this sit for 30 minutes. Flush water down the pipe to make sure that it moves freely. You can ask someone to help you with this part to make sure it is working properly. Don’t Choose Any Air Conditioning Company in Morrisville! Choose Action! 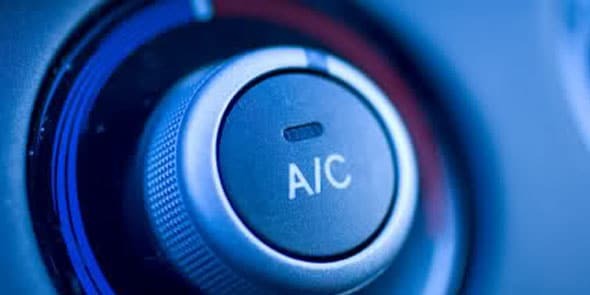 If you need help making sure your A/C unit is ready for spring, it is a good idea to contact A/C professionals for air conditioning in Morrisville. We can help you. When your home heating system breaks down or stops working entirely, it is important to have a company you can trust to replace your heating system quickly, reliably and affordably. Action Heating & Air delivers high quality, professional heater replacement services — 7 days a week to homeowners throughout Bucks County, Doylestown, Yardley, Langhorne, Burlington County, Hunterdon County, Mercer County and Ocean County, NJ. We have been delivering high quality air conditioning repair and air conditioner replacements to your neighbors since 1967. Contact us today to talk to a live customer service representative and we can dispatch a heating system technician to your home shortly – chances are, one of our technicians may already be in your neighborhood!